Opening a new chapter in "The Lion King" saga, this made-for-TV movie follows Simba's brave son, Kion, as he becomes the leader of the Lion Guard -- the team of animals tasked with safeguarding the Pride Lands. Parents need to know that The Lion Guard: Return of the Roar continues the tale of the Pridelands and its ruling family, this time through the adventures of Simba's son, Kion. This movie is considerably less intense than was The Lion King, but it relies on many of the qualities that made its predecessor such a fan favorite: an excellent soundtrack, comical characters, and a realistically imperfect (but ultimately determined) young hero. There are some tense moments that show characters in peril and animals being chased by predators but nothing that will bother kids. Parents who loved The Lion King will enjoy following Kion's story as well, especially since it incorporates favorites such as Timon and Pumbaa and even features the occasional reappearance of patriarch Mufasa. Some falls and short-lived injuries, plus a chase scene that shows hyenas pursuing gazelles. Kion follows his instincts, despite his father's advice, and he and the new Lion Guard demonstrate that you shouldn't judge a book by its cover. He's also forced to assume a lot of responsibility for the other animals in the Pridelands. Recurring themes about sharing and exercising self-control by taking only what you need to preserve the balance of resources. Also many instances that celebrate the characters' unique qualities as part of an effective team. Some potty humor, as when Bunga uses his own gas to defend animals from the hyenas. 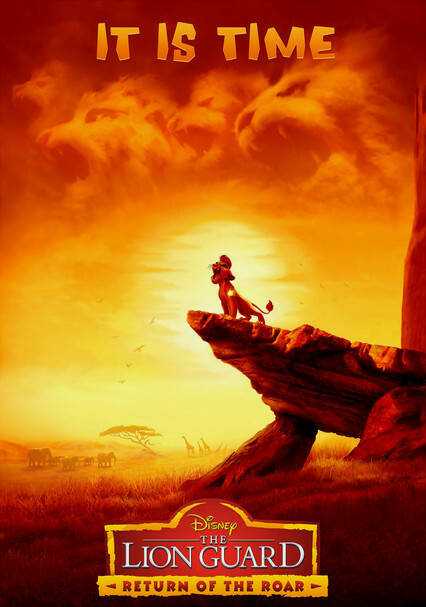 The series is a continuation of the story told in The Lion King and its sequels.